This weekend, two Everest athletes will compete in the Hopes Classic at the University of Utah after qualifying with a score of 48 all-around at a National Elite Qualifier. Savannah Goveia, of Cornelius, N.C., qualified for the Hopes Classic in the 12-13 age division. Savannah’s passion for gymnastics started in Texas when she was just one-year-old. She came to Everest Gymnastics in 2016, where her love for the sport continued to flourish. Her favorite event is the uneven bars, because the release moves make her feel like she is flying through the air. Her future goal is to qualify as a Junior Elite in 2019. Amber Lowe, of Kennesaw, GA, also qualified for the Hopes Classic in the 12-13 age division. She started gymnastics at the age of 6 and has been training ever since. Amber came to Everest Gymnastics in 2017. Her favorite event is the balance beam, because she likes the challenge of staying on the four-inch wide apparatus. She would like to qualify for the championship by finishing in the top 19 at the Hopes Classic. She would also like to qualify as a Junior Elite in 2019. For Hopes gymnasts, the top 18 in the 10-11 age group and the top 18 in the 12-13 age group qualify to the US Hopes Championships. 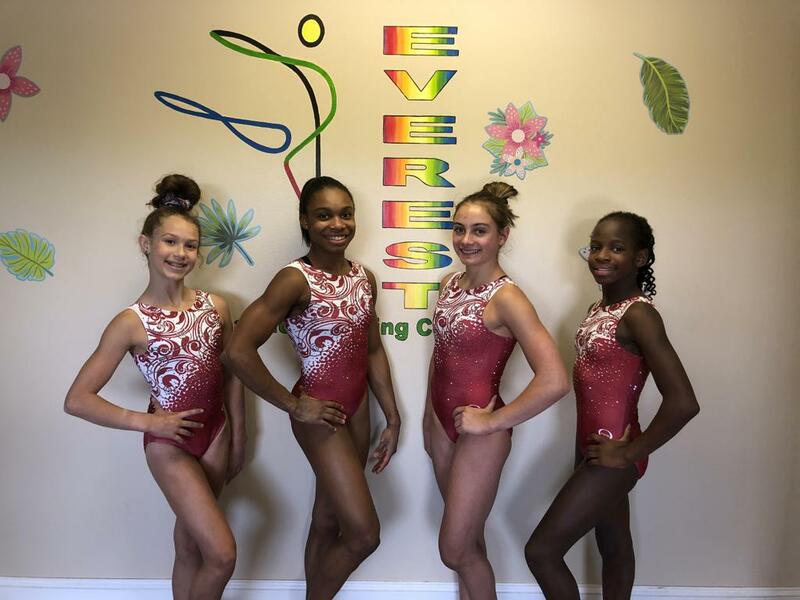 Later this month, Everest gymnasts, Gabbie Gallentine and Lauren Little will both compete in the American Classic in the Junior Elite Division. If they achieve a 51 or higher in the all-around, they will advance to the US Championships.